One of the initial praises for this smart technology was the ability for it to collect and assess data through algorithms by assigning a pseudonym to the user—collecting data anonymously. This is not the case with the Disney Magic Band. The Magic Band is just one tool in the entire My Disney Experience vacation management platform. Once a user receives his or her Magic Band (whether a “tourist” or a local annual passholder), he or she has to go online and customize the band with names, select a profile picture (from a list of Disney characters), and other contact information. This, in and of itself, takes the pseudonym (anonymity) out of the equation. For now, not only can information and data be gathered, but it is attached to a specific person whose identity is not a secret. Unlike your smartphone or other mobile devices (e.g. tablet), in which the user can turn off the location sharing features (either for the whole device or app-specific), the location sharing and smart technology in the Magic Band (RFID and GPS) cannot be turned off. The inability for the user to not turn off the location sharing features can be viewed as an encroachment upon personal privacy. 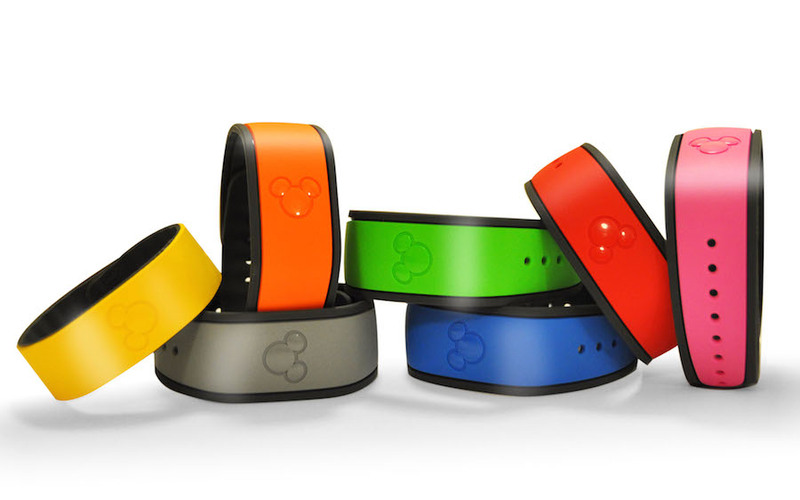 However, Disney World does not require park guests to wear/use the Magic Bands. Therefore, if a part guest chooses to wear/use the Magic Band, then he or she accepts the fact that prolific amounts of information are being shared, including but not limited to: location, dining preferences, FastPasses, etc). Although conspiracy theorists can tout the whole “big brother—or in this case Big Mickey—is watching,” it is more likely that issues of database privacy should be explored (Mokbel, 2006). The treasure trove of information gathered and processed by the My Disney Experience system provides the media giant with unparalleled data that can be integrated into the park operations and, by extension, can be presumed to be integrated into other decisions. Still, the program is too new in order to know for sure where the data is going. Looking at other models of smart data, we can certainly explore the possibilities. The goal in database privacy is to provide access to the gathered information without risk of breaching privacy (attributing numbers instead of names to the sources of information). The GPS technology built into the Magic Band builds upon decades of GIS (global information system) research and integration in order to factor location into the database. Location provides a way to link information on a user (or subject) from one database into another. This method of data collection and organization is referred to as data matching (Curry, 2015). Without location, then the information would not be as valuable because it would be more difficult to find links between what the park guests want to experience, and in which order, during a vacation or visit to the Walt Disney World Resort. Since data matching requires the use of a figurative data map anyway, actually using a map of Disney World adds to the effectiveness of the data when factoring it into an algorithm. Integrating GIS technology into how the Magic Bands are monitored and used, allows Disney to create hyper-sensitive remote surveillance technologies (Curry, 2015). This is the basis for the character meet and greet feature referred to earlier in this series of articles. By designing the Magic Bands to work with GPS, GIS, RFID, and POS (point of sale) technologies, Disney can take data matching to the next level and create data profiles based on the smart data collected (Curry, 2015). Whether in name or anonymously, this degree of smart data is highly effective because once a profile archetype is formed, Disney can reflect upon that profile type’s history and forecast what that particular archetype is going to do in the future and could target ads, characters, purchases, etc to that person. But what about invasion of personal privacy while at Disney World? How should Disney respond if accused of invading the privacy of its guests? “One traditional response, here, has been that just because the data in a profiling system are not “real facts,” there can be no invasion of a person’s privacy, at least in the traditional informational sense…just as the development of GIS has been associated with the devaluation of the local, where attributes of the local come to be seen merely as contingent features of a Euclidean set of spatial coordinates, so too has it been associated with a devaluation-or at least revaluation-of the individual and of the nature of identity” (Curry, P258, 2015). Although Curry is not referring to the Magic Bands, his research can be applied to them by extension since little is actually known about the digital data collected and all the ways that the media giant uses it. The information collected through MyDisneyExperience (and the Magic Bands) aid in creating digital people, places, and lives. Just like an individual is responsible for one’s financial identity (credit score), then should not a Disney park guest be responsible for and how their digital self is used? But because of the aforementioned reasoning, the data collected may not be legally treated as “real facts,” this splitting of the proverbial hair gives Disney carte blanche to use the data however it chooses. It may be that the data is simply used to make park visit logistics more efficient and convenient for park guests, but it is clear that the collected data could be used in figuratively infinite ways without any due compensation for the park guest or details notification of how the data is used or interpreted. Although privacy conspiracy theorists and some legalistic Christian fundamentalists may see this smart data technology as a gateway to the apocalypse, the truth is, this technology has been part of our lives for a long time—at least the basics of the hard technology. This is really no different than the introduction of the printed barcode back in the 1970s (Laugheinrich, 2007). RFID/GPS technology (as a means of location and payment) is found in every automated toll stickers and units in cars in order to use the express-thru lanes on the turnpikes and expressways without having to stop at the booth. Similar technology can be found in keyless electronic ignition in many contemporary cars that responds to a particular key fob instead of metal key—takes the RFID chip to the next level. That technology does not seem to fall under scrutiny or appear to be frocked with privacy concerns. Laugheinrich highlights that RFID [and by extension RFID-GPS technologies for purposes of this paper] has three distinct advantages over more traditional means of collecting or processing data: (1)Automation—the scanners/receivers provide the company with nearly unsupervised readouts. (2)Identification—RFID offers much more in the way of information density. (3)Integration—embedding the technology in unobtrusive ways thus freeing the product design (2007). Think of RFID technology as the latest version of the now antiquated barcode. Programmed to only work with a specific person allows for RFID to be integrated into token-based authentication based applications because of the size (Laugheinrich, 2007). Token-based authentication (which is essentially the foundation of the Magic Band) provides a means to issue and then collect information that cannot be [easily] duplicated or forged. Sorry, that means you can no longer print your own or hoard past FastPasses to skip the long queue at ToyStory Midway Mania or the Seven Dwarves Mine Train. Whether the Walt Disney Company has plans beyond park operations and planning for its Magic Bands will have to wait to be seen; however, just because Disney may not be engaging in any illegitimate or unethical uses of the smart data gathered by the Magic Band readers, that does not mean that there do not exist those who use data gathering technologies that can hack into the RFID/GPS system the Magic Bands use and modify or sell that data, or anything else unscrupulous. Potential digital privacy violations may happen if an authorized reader eavesdrops on authorized transactions or if a rogue sensor tricks the transmitter to divulging personal information since MyDisneyExperience includes all kinds of personal and financial information on a given park guest. (Laugheinrich, 2007). Echoing the three benefits to RFID/GPS technologies, there are principally three privacy concerns as well: (1)Clandestine scanning—simply stated, the RFID is scanned or read without the user/owner’s consent. (2)Eavesdropping scanning—“listening” in on authorized or authenticated transactions between a transmitter and reader. (3)Data leakage—reading out more information from a transaction than is necessary to carry out the task (Laugheinrich, 2007). Although RFID/GPS technologies have come a long way and security company and user security measures have better developed over time, clearly more research needs to be done in order to truly understand the ramifications of the implementation of the Magic Bands into the daily operation of the Disney parks. Literature has shown us how the technology works and how it could be used. Most of what has been written about in these articles requires looking at past research on either privacy or wearable technology and apply it to how it may affect the manner in which Magic Bands are used. Furthermore, it is not always one of the two parties in the RFID relationship (i.e. WDPR and the park guest), but it can be other park guests with intrusive technologies that breach the relationship that can pose a privacy or security threat. Ball, R., et al (2015). The Future of Luxury: Capital of Creation, Fashion Institute of Technology, Capstone Research Project, Master’s Degree Program. Dockterman, E. (2014). Now Disney Can Track Your Every Move with NSA-Style Wristbands, Time.Com, 1. Laugheinrich, M. (2007), RFID and Privacy, Security, Privacy, and Trust in Modern Data Management, Part V, P433-450. Mokbel, M.F. (2006). Towards Privacy-Aware Location-Based Data Servers, Department of Computer Science and Engineering, University of Minnesota, Twin Cities. Palmeri, C., & Faries, B. (2014). Big Mickey Is Watching. Business Week, (4370), 22-23. Panetta, K. (2014). Why I’m A-OK with Disney tracking me “NSA-style.” ECN: Electronic Component News, 58(2), 10. Schnell, E. (2013). Near Field Communications: Features and Considerations, Journal of Electronic Resources in Medical Libraries, Vol.10, No.2. Thierer, A. (2014). Permissionless Innovation: The Continuing Case for Comprehensive Technological Freedom, George Mason University, Mercatus Center. Thierer, A. (2015). The Internet of Things and Wearable Technology: Addressing Privacy and Security Concerns without Derailing Innovation, George Mason University, Mercatus Center. Winsor, R.M. (2015). The Magic of the Mouse: An Exploration of Brand Personality in the Walt Disney Company, University of New Hampshire, Senior Honor’s Thesis.